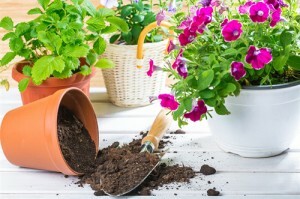 Blount County Garden Club Plant Sale on April 27th, 2019 from 8 am - Noon at the New Midlands Plaza Shopping Center. Proceeds from the plants sold by the Tuckaleechee Garden Club goes 100% to the Townsend River walk project. Stop by and purchase some plants, leave a little extra donation to help support the River Walk. The Townsend River Walk & Arboretum, through the inspiration, perseverance and hard work of the Tuckaleechee Garden Club, has become a premier attraction in Townsend, TN and the Smoky Mountains. 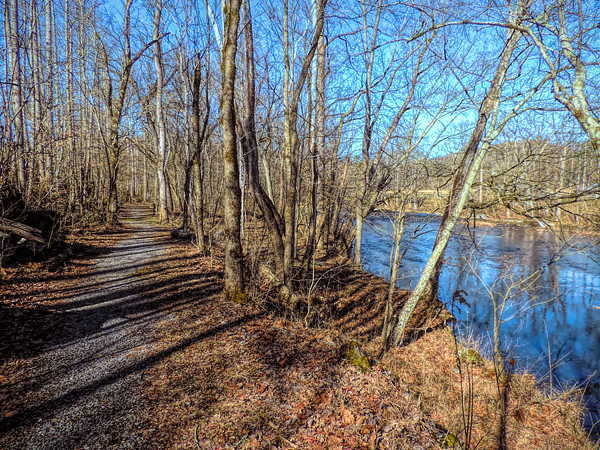 Enjoy the solitude and beauty of the trees, flowers and The Little River on this half mile nature trail. The Townsend River Walk and Arboretum has been certified by the Tennessee Urban Forestry Council. It is a fun and educational experience. Each tree has a plaque that provides tree information. Enjoy the Nature Trail Year Round! Every season on river walk brings something new. Blossoms and flowers in the Spring; flowers and a place to cool off in the Summer; colorful foliage in the Fall and the Winter brings scenic views of the trail and river. Get directions to the Townsend River Walk as well as a detailed map of the river walk and arboretum. 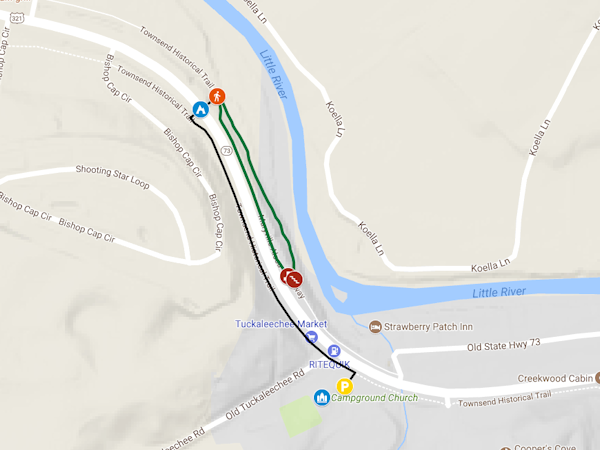 We have it mapped to make finding and enjoying the Townsend River Walk a bit easier.